Daniel Schmitt, Olivier Aubert. REMIND : une méthode pour comprendre la micro-dynamique de l'expérience des visiteurs de musées. in Revue des Interactions Humaines Médiatisées (RIHM) = Journal of Human Mediated Interactions, 2017, Europia, 2017, 17 (2), pp.43-70 (online). Madjid Sadallah, Olivier Aubert, Yannick Prié. CHM: an Annotation- and Component-based Hypervideo Model for the Web. in Multimedia Tools and Applications, 2012, 10.1007/s11042-012-1177-y (online). Olivier Aubert, Pierre-Antoine Champin, Yannick Prié, Bertrand Richard (2007) Active reading and hypervideo production. Multimedia Systems Journal, Special Issue on Canonical Processes of Media Production. 6 pp, 2008. Olivier Aubert et Yannick Prié. 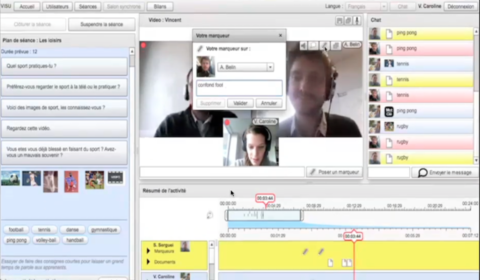 Des vidéos aux hypervidéos : vers d'autres interactions avec les médias audiovisuels.TSI, numéro spécial Document numérique, Vol 25, n°4, 2006, pp. 409-436. Daniel Schmitt, Virginie Blondeau, Muriel Meyer-Chemenska, Olivier Aubert, Hachimi Abba. REMIND Group : objectiver son expérience pour concevoir des projets In H2PTM 2017, Oct. 2017. Hugo Mougard, Matthieu Riou, Colin de la Higuera, Solen Quiniou, Olivier Aubert. The Paper or the Video: Why Choose? 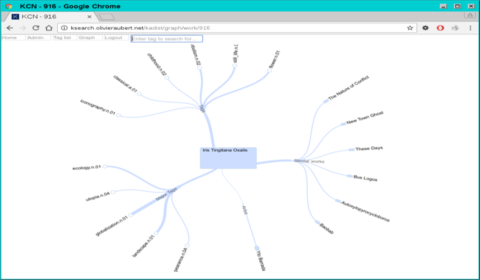 In Semantics, Analytics, Visualisation: Enhancing Scholarly Data Workshop, co-located with WWW2015, Florence, Italy, 2015. Olivier Aubert, Joscha Jaeger. Annotating Video with Open Educational Resources in a Flipped Classroom Scenario. OpenCourseWare Conference Global 2014. (article, slides, demo). Olivier Aubert, Yannick Prié, Camila Canellas. Leveraging video annotations in video-based e-learning. in 6th International Conference on Computer Supported Education, Barcelona, Spain, April 2014 (article, slides, HAL). Benoît Encelle, Pierre-Antoine Champin, Yannick Prié, Olivier Aubert. Models for Video Enrichment. Short paper in ACM DocEng. Mountain View, California. Sept 2011. Madjid Sadallah, Olivier Aubert, Yannick Prié. Component-based Hypervideo Model: high-level operational specification of hypervideos. Short paper in ACM DocEng. Mountain View, California. Sept 2011. B. Encelle, Y. Prié, O Aubert. Annotations pour l'accessibilité des vidéos dans le cas du handicap visuel. In Handicap 2010, Paris. 2010. Olivier Aubert and Yannick Prié and Pierre-Antoine Champin (2008) Advene, une plate-forme ouverte pour la construction d'hypervidéos. Ludovia 2008, Ax-les-Thermes, aug. 2008. 10 pp. Yannick Prié and Olivier Aubert and Bertrand Richard (2008) Démonstration : Advene, un outil pour la lecture active audiovisuelle. IHM'2008, Metz, sep. 2008. 9 pp. Olivier Aubert, Yannick Prié (2007) Annotations de documents audiovisuels - Temporalisation et spatialisation. Atelier Interfaces pour l'annotation et la manipulation d'objets temporels : une comparaison des outils et des paradigmes dans le domaine musical et cinématographique, IHM07, Paris, nov. 2007, 2pp. Olivier Aubert, Pierre-Antoine Champin, and Yannick Prié (2006). Integration of semantic web technology in an annotation-based hypervideo system. SWAMM 2006, First International Workshop on Semantic Web Annotations for Multimedia, 2006. 12 pp. Olivier Aubert, Yannick Prié (2007) Advene: an open-source framework for integrating and visualising audiovisual metadata . Open Source Competition: Technical presentation and overview paper. Proc. of ACM Multimedia Conference, Augsburg, sept. 2007, 4 pp. Olivier Aubert and Yannick Prié. 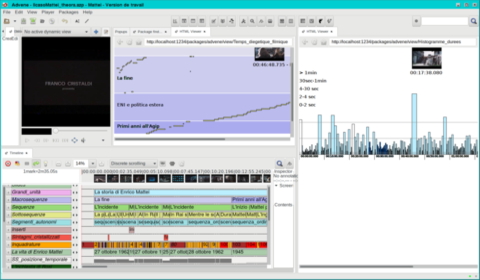 Advene: active reading through hypervideo. ACM HyperText 05, September 2005. Olivier Aubert and Yannick Prié. Des hypervidéos pour créer et échanger des analyses de documents audiovisuels. H2PTM'05, Nov-Dec 2005. Henning Agt-Rickauer, Olivier Aubert, Christian Hentschel, Harald Sack (2018) Authoring and Publishing Linked Open Film-Analytical Data EKAW 2018 Posters and Demonstrations Session, Nancy, nov. 2018 (article, screenshots/screencast). Olivier Aubert (2016) Projet COCo - Annotation vidéo en contexte pédagogique.Journée SupApp, Rennes, sep. 2016 (slides). 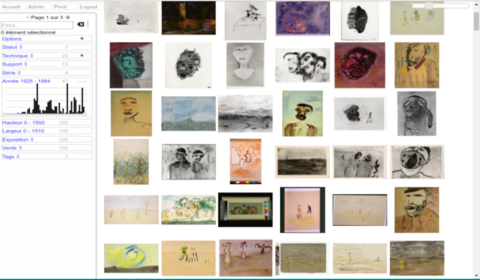 Olivier Aubert (2016) COCo project - Annotations for pedagogical and research videos.iAnnotate 2016, Berlin, may. 2016 (slides, video). 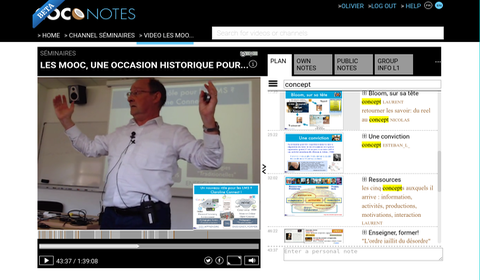 Olivier Aubert (2013) Annotations, a key asset for video-based e-learning. Internet of Education, Ljubljana, nov. 2013 (slides, video). Olivier Aubert (2012) Using Personal Annotations to Enrich Interactions with Videos. 6th Teletask symposium, Potsdam, oct. 2012 (slides, video). Olivier Aubert, Pierre-Antoine Champin and Yannick Prié (2006) Integration of Semantic Web Technology in an Annotation-based Hypervideo System, LIRIS Research Report RR-LIRIS-2006-004, Feb 2006. Olivier Aubert and Yannick Prié (2006) Creating and sharing hypervideos with Advene., Demonstration at ACM Conference on Hypertext and Hypermedia 05, 2005, 3 pp. Olivier Aubert, Pierre-Antoine Champin, and Yannick Prié. The Advene model for hypervideo document engineering. Research Report RR-2004-22, LIRIS, January 2004. 23 pp. Olivier Aubert, Pierre-Antoine Champin, et Yannick Prié. Instrumentation de documents audiovisuels : temporalisations et détemporalisation dans le projet Advene. Dans Workshop FANT-AS-STIC "Temps et documents numériques", INRIA Grenoble, novembre 2003. 10 pp. Olivier Aubert. Patron de conception pour l'analyse et la construction de systèmes à comportements autoadaptatifs. Thèse de doctorat, Université de Rennes I, décembre 2001. 179 pp. Olivier Aubert. Towards fine-grained adaptivity in web caches. In 4th International Web Caching Workshop, San Diego, California, April 1999. 10 pp. Olivier Aubert. Étude et développement de Politiques Génériques de Synchronisation dans CORBA. Rapport de DEA, ENST Bretagne, 1996. 45 pp. I develop and contribute mainly to Free/Libre Software. I am the main developer of the Advene video annotation software, and have contributed to some projects: VLC (python bindings, SVG overlay, now removed MediaControl API), gstreamer (SVG overlay element), MetadataPlayer (various improvements), FrameTrail. Most of the software I produce is on my Github account. 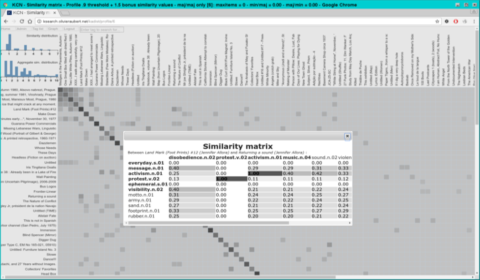 Metadataplayer - a fork from the Metadataplayer project from IRI. PDF Overlay, LaTeX style file that allows to overlay an exising PDF file with additional text and graphics. Useful to fill forms available in non-editable PDF. PDFbook, converts a PDF file (A4) into a booklet (A5): just print on a duplex printer, fold the sheets, and you have your booklet. 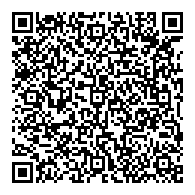 This application merely reorders the page, and depends on pdflatex and pdfinfo (utility from xpdf) to do the real work. Note that the pdftk application can also be used to apply various transformations on PDF documents. PyMonitor, a pygtk application to monitor various values in a system (temperature, load, etc). Adapted from heatload, but I did not want to bother with the install of gtkmm and the compiling of the file. So I rewrote it in python/gtk. pygst-launch, a pygtk GUI for testing and interacting with Gstreamer pipelines. It depends on the evaluator module. For convenience, a standalone version is provided. Some components of the Advene application are purposedly independant from the application, and can be reused as-is in other applications. svgoverlay, a pygst-based SVG overlay element for gstreamer (useless, I have ported it to C and it is now integrated in gstreamer, but it can be used as an example of a python-based overlay element). slicebuffer, a pygst-based element for gstreamer, that captures a given column of pixels from the input stream and concatenates them into the output stream. snapshotter, a pygst application allowing to get snapshots for specific timestamps from a video stream. shapewidget, a basic SVG editor (only for a subset of SVG). completer, a pygtk text-completion system that can easily be hooked into any gtk.TextView component.